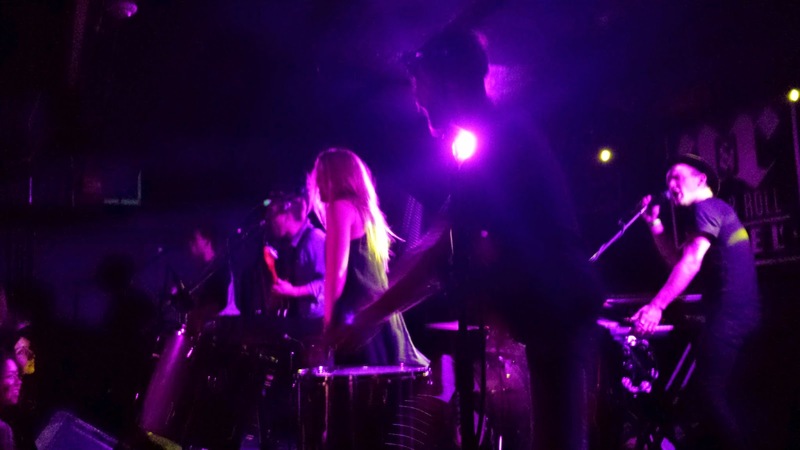 WASHINGTON, DC – I have to admit, I was a fan of COIN, Kopecky’s opener, before I was a fan of Kopecky. That being said, I always knew how good Kopecky was since high school, prior to their name change. They were a band that always topped my long list of bands that I needed to check out, but I never got around to checking out. So when I found out they were touring at Rock & Roll Hotel with COIN, I was stoked. Since I was introduced to Kopecky as “Kopecky Family Band,” I expected a lot of strings and a strong folksy/country vibe from the band. They brought those things, but with an update. Combining country with synth elements, like an electric cello, Kopecky proved that they’re not your average family band. But on the outside, they still looked like one, wearing cuffed jeans and cracking lame jokes your grandpa would come up with. Though the first couple of songs were pretty good and sported excellent basslines reminiscent of Arcade Fire’s “We Exist,” it felt like the crowd was asleep until “Birds,” a pretty song featuring whistling and xylophones. Singer Kelsey Kopecky bobbed her head a little too hard throughout the song, but not enough to take anyone out of the track’s funk. Actually, the crowd really enjoyed “Birds,” and danced the whole time. Kopecky followed “Birds” with “Animals.” For this song, Kelsey was bathed in blue lighting, which made her look like a Nashville goddess. Next, the band launched into one of their most popular songs, “Heartbeat.” The song itself is addicting, and the band really owned this one. They must know it’s one of their most recognizable tunes, so they put their hearts into it. It also showed off cellist Markus Midkiff’s skills, and it was hard to take my eyes off of him shredding that electric cello. Things sped up again with “Are You Listening,” a song off of 2012’s Kids Raising Kids. They also handed out lollipops, which was bound to wake up anyone who drifted off to sleep during “A Casualty.” Things came to a close quickly after “Are You Listening,” with COIN joining Kopecky onstage for an energetic finish that involved Simon playing trombone in the audience and bananas being thrown by the band (and caught by those with the fastest reflexes). Overall, Kopecky provided the Rock & Roll Hotel audience with an entertaining night, though they should really work on that stage banter. I highly doubt Nicolas Cage inspired any of their songs.